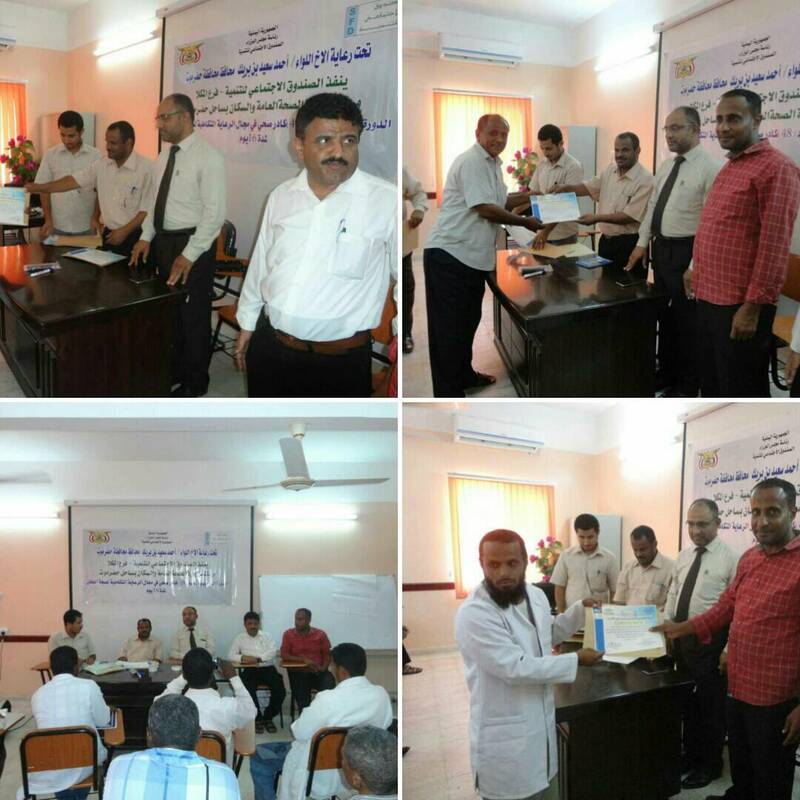 The Social Fund for Development in Al-Mukalla concluded the training course to rehabilitate 48 health workers in the office of the Ministry of Public Health and Population in coastal Hadramout. The training focuses on providing participants with the necessary skills and knowledge on the integrated child healthcare during 16 days. At the ceremony, the Deputy Director-General of the Health of Coastal Hadramout, Mr. Awad Yasem, gave a speech urging the trainees to redouble their efforts in the field of complementary child health care in their districts, thus contributing to the improvement of primary healthcare, thanking SFD In the field of complementary healthcare as well as other interventions in the health sector in the governorate. SFD is counting on this project for the continued provision of quality health services and the development of primary healthcare services.